Double-needle hemmed trim, super soft high end woven elastic trim, 100% combed cotton baby rib. 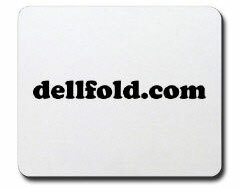 Please contact the No Shows directly for ordering info. 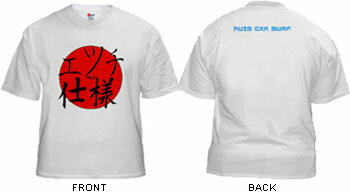 THE CLASSIC NCS "ETCHI SHIYO" T-SHIRT IS BACK FOR THE FIRST TIME SINCE 1998! NCS 4 LIFE! PRE-SHRUNK 100% COTTON LONG SLEEVE T-SHIRT. 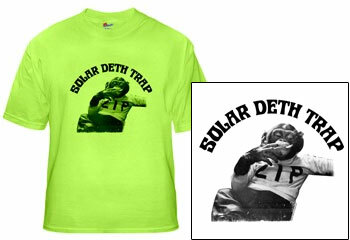 SOLAR DETH TRAP'S SMOKING CHIMP ON A VIBRABT GREEN, PRE-SHRUNK 100% COTTON T-SHIRT. 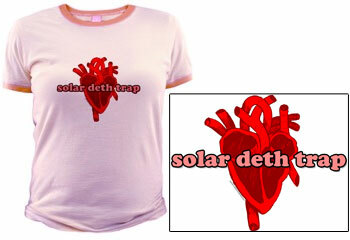 Our women’s ringer tees from Hyp are made of 100% fine cotton jersey. Tees feature contrasting neck and cuff trim as well as contrasting stitching. The print contains the original handwritten lyric sheet by my Mike Freemont himself from 1996 and an illustration of the band by MonkeyMan. 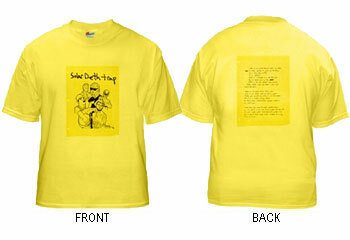 Yellow fans, color your world, or at least your body in this vibrant attention-grabbing hue. Stand out in a crowd. 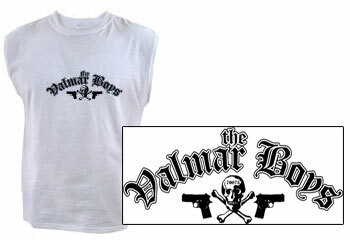 Our 100% Authentic Tagless T-Shirt is preshrunk, durable and guaranteed. 100% cotton. Standard fit. 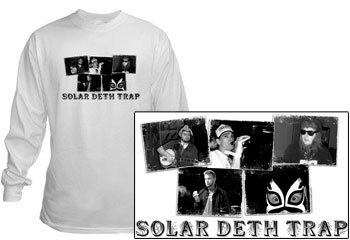 THE 5 FACES OF SOLAR DETH TRAP ON A PRE-SHRUNK 100% COTTON LONG SLEEVE T-SHIRT. 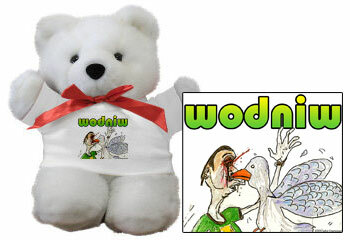 11 inch soft plush teddy bear wearing a Wodniw T-Shirt. 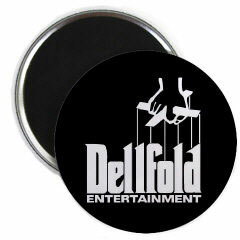 9.28" x 7.75", machine washable mousepad.